If you and your family love the outdoors and natural wonders, then holidays to Iceland must feature on your list of destinations to visit. If you are like us, part of making the decision on where to go on holiday, involves understanding what you can do. Read this article to find out what to do in Iceland. We've covered a list of things to do in Iceland and places you must visit to experience these dramatic spectacles. Iceland is a land of geographical drama – it has massive glaciers, as well as volcanoes, hot springs, geysers and lava fields. And in the winter, you can see the amazing Aurora Borealis or Northern Lights. And despite the frigid name, Iceland is still south of the Arctic Circle, so the weather while cold is easy to cope with if you are dressed for it. The first settlements by the Celtics and Vikings made their way to the land in the 9th century. Today, the country has a tiny population of around 300,000. For holidays to Iceland, here are our picks of the top destinations. If you are considering what to do in Iceland, then here's a list of places to visit and things to do. Some of them are specific to seasons. But others are favourites with visitors all year around. Reykjavik is the capital of Iceland as well as the largest city in Iceland. The city is characterful, charming and family friendly. You will most likely fly into Reykjavik so start your vacation in Iceland by absorbing all that this city has to offer before heading further afield. Here are our favourite things to do in Reykjavik. First of all it's a visit to see some contemporary architectural wonders. 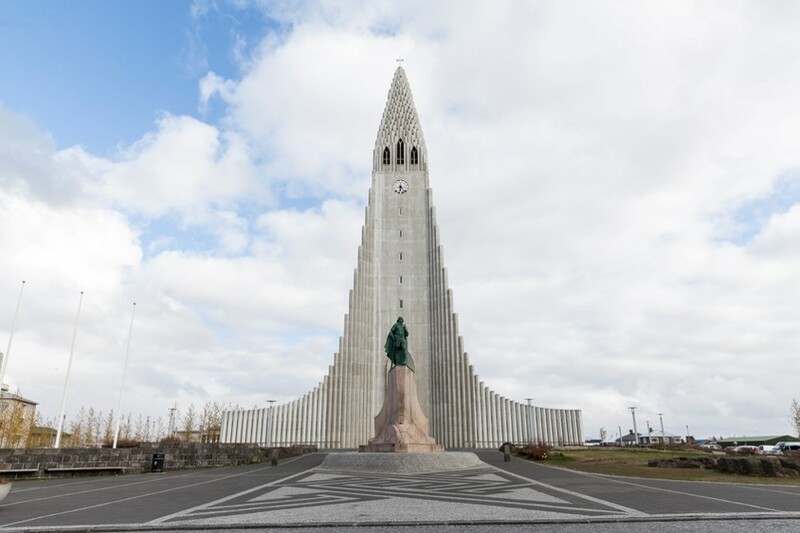 Reykjavik is home to two iconic buildings - Hallgrimskirkja & Perlan. This is a spectacular church in the centre of Reykjavik. Guðjón Samúelsson, a state architect commissioned the build of this church in 1937. Basalt lava flows that can be seen all over Iceland inspired the architecture for the church. This church took over 40 years to be built and opened in 1986. The church tower also doubles up as an observation deck with amazing views of Reykjavik and the surrounding country side. The Perlan is a beautiful glass dome on top of a hill with a revolving restaurant at the top. Originally built to store hot water, it has since changed to also have a museum and restaurant. The restaurant sits on top of six huge tanks with five of them holding geothermal hot water. The sixth tank is the home of the Saga Museum, where the history of Vikings in Iceland is traced. 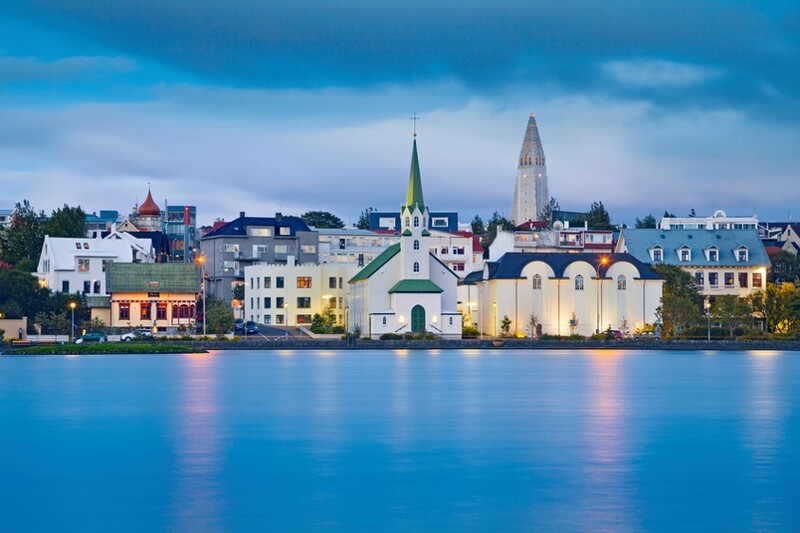 If you are game, you must book to go on a city walk around Reykjavik. This is voted one of the most popular things to do in the city. The guides have a great sense of humour, making for an entertaining as well as informative way to see the city. For a bit of history on what Iceland was like a hundred years ago, do pay a visit to Árbæjarsafn in Reykyjavik, which is an open air folk museum. We were fascinated by the quaint Icelandic turf houses in the museum. In addition to these suggestions, you must try out some local bakeries for breakfast too. One of the other things to do during your holidays to Iceland, is to visit a geothermal spa, Blue Lagoon in Grindavik. Located just under an hour away from Reykjavik . The water from the natural hot springs is believed to be good for your health and skin. So indulge in some TLC for yourself too. Jökull means glacier in Icelandic. To experience the magnificence of the enormous glaciers in Iceland, you should visit this National Park, which is Europe’s largest National Park. The perpetual struggle between fire and ice can be seen here between the volcanoes and the glaciers in this park. 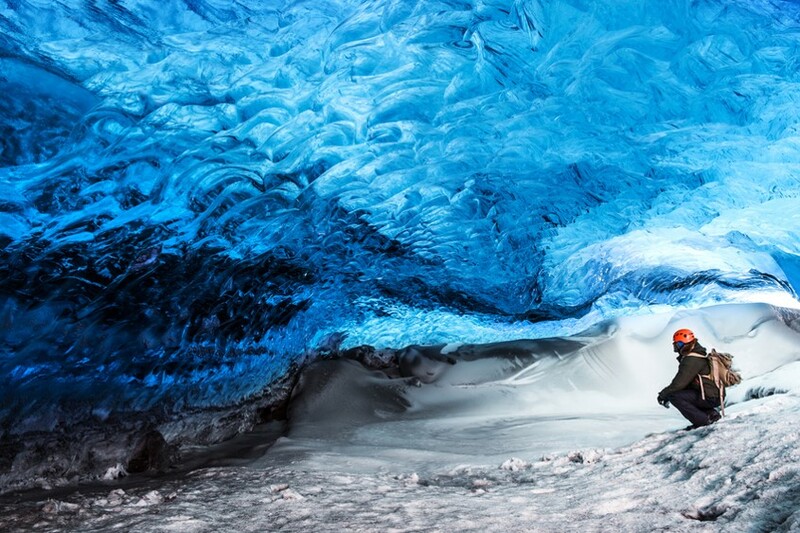 The Ice caves here are spectacular too and something to do in winter. One of the other things to do in Iceland is to visit the Rhyolite mountains. 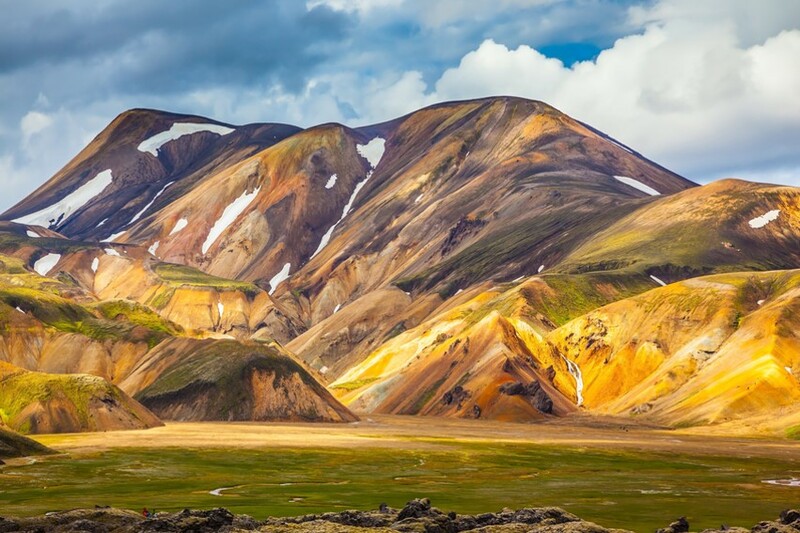 Landmannalaugar is in the Icelandic Highlands and the land of the colourful rhyolite mountains. Rhyolite is the volcanic equivalent of granite. Do remember that you'll need a 4-wheel drive to visit Landmannalaugar. Explore some of the volcanoes, volcanic lakes as well as the hot springs while visiting these really unique mountains. Did you know that Rhyolite is also a semi precious gemstone? Because of the beautiful colours, you can see why this is the case. In our view, the Northern Lights must be on the bucket list of everyone who loves to travel. With its proximity to the Arctic Circle, Iceland is one of those destinations to see the Northern Lights. So one of the things to do is to plan a winter trip specially for this. We promise you that the memories of this will stay with you forever. 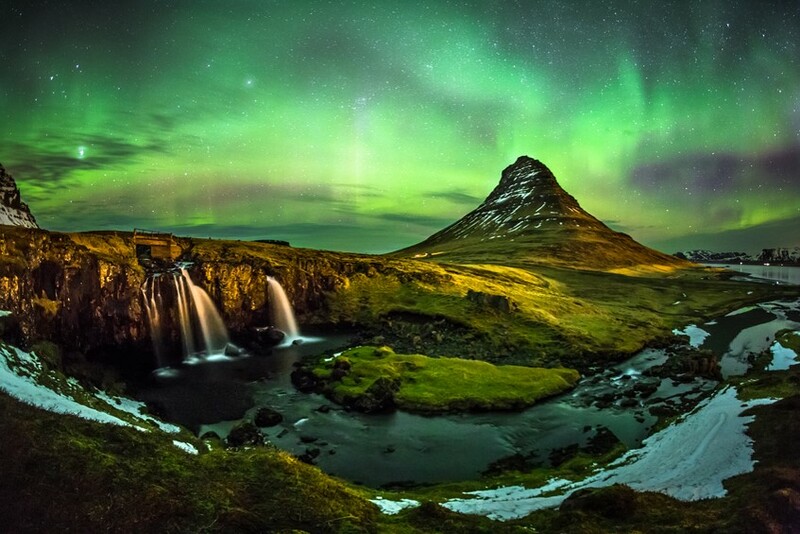 Kirkjufell Mountain is one of the best places to appreciate the Northern Lights. This lone mountain rises up in the landscape and creates a spectacular sight at night with the Aurora Borealis. See our article on European Destinations for the Northern Lights for more places. Gulfoss, means Golden Falls in Icelandic and is Iceland’s most popular waterfalls. Gulfoss waterfall is part of the Golden Circle route. The water of these falls is slightly brownish because of the sediment carried. Due to this sediment, on a sunny day, the waterfalls look golden and hence the name. 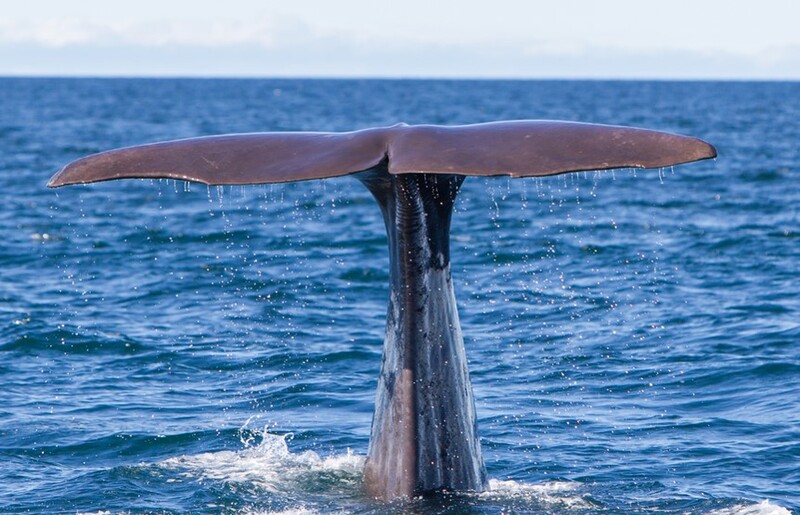 One of the magical experiences with marine life is to go whale watching. Iceland is one of the best places in Europe to do this. In the summer months, on both sides of Iceland, you maybe privileged to see Orca, Minke, Humpback, and Blue Whale. These creatures are simply magnificent. We were so thrilled​because we were privileged to see a humpback diving. Holidays to Iceland are perfect for those interested in geography. A popular tourist route is the Golden Circle where you get to see the volcanoes, glaciers, hot springs, geysers and waterfalls creating memories for a life time. Are you wondering when is the best time to visit Iceland? Will you want to see the Northern Lights? If the answer is yes, then you should be looking at February, March or September, October. If what you want to do is to enjoy the outdoors when it's warm, then July is a good month to be outdoors. Europe is a large, diverse and varied in terms of geography and culture. In addition to Iceland, if you fancy browsing some other Northern European destinations, why not check out Finland ?